The 2019 GMC Terrain is another entry in the crowded field of crossover SUVs. This compact crossover has a great-looking style both inside and out. The GMC Terrain is a four-door hatchback that's built to comfortably carry four adults plus plenty of cargo. If you're looking for a crossover that provides a comfortable ride, the GMC Terrain is a compelling option. The Terrain was just updated and redesigned for 2018. That didn't stop GMC from offering a bunch of new features for 2019 though. The looks remain largely unchanged this year. You now get the choice of a new color called Smokey Quartz Metallic. Rear and surround cameras have been upgraded to HD. You also now get more tech and safety features such as Adaptive Cruise Control. The 2019 GMC Terrain comes in your choice of three different turbocharged engines. All offer great performance stats. The base model is a 1.5-liter, 4-cylinder. It puts out a respectable 170 hp and 203 lb-ft of torque. The next option is a 2.0-liter, turbo-4. This model provides 252 horses under the hood with 260 lb-ft of torque. This version may be the best option as it has plenty of power for good acceleration and even enough to tow up to 3,500 lbs. Last of all is the 1.6-liter, turbo-diesel. It goes down in power but makes up for this with the best fuel economy of the bunch. It offers 137 hp with 240 lb-ft of torque. The gasoline engines come paired with a 9-speed, automatic-transmission system. It operates smoothly and accurately. Steering is tight and responsive. You always feel in control of this beast, and it even takes corners nimbly for its size. Braking power and distance is more than adequate for a vehicle of this size and weight. It's a fun crossover to drive in town or on the open roads. Ride quality is a real stand-out feature for the 2019 GMC Terrain. The suspension system handles whatever the road throws at it without transferring the bumps and vibrations to passengers inside. It's also nice and quiet inside of the Terrain. GMC has done a fine job of implementing noise-reduction technology in this vehicle. There's plenty of space in the front and second-row of seats for a comfortable ride. Looks are always a matter of taste and opinion, but the GMC Terrain is likely to turn some heads. It has a handsome and sleek exterior design. It manages to straddle the line between rugged sportiness and elegant sophistication. You get some options here too. Black or chromed-out grilles and accents are both available. It also comes in an array of classy colors. If the outside says luxury, the inside says it even louder. It's more than just looks, though, as the comfort level here is top notch. There are plenty of nice touches on the inside of the 2019 GMC Terrain. Some of these include wood and leather trim, depending on the package you select. The seats are comfy and provide excellent support during long rides. The console and the rest of the interior has an attractive and very functional layout. The turbo-diesel engine has a combined fuel-economy rating of 32 mpg. That's 28 mpg in the city and 38 mpg on the highway. This is pretty impressive when compared to the numbers from other crossovers in this class. The base and mid-level engines aren't too shabby either. The base engine has a combined rating of 28 mpg while the 2.0-liter comes in at 23 mpg. The 2.0-liter has the lowest rating but does offer substantially more power than the base 1.5-liter. Cargo space is one of the best reasons to choose a crossover. You get the cargo space you need within a smaller-framed vehicle. The 2019 GMC Terrain doesn't disappoint in this category. You get 29.6 cubic-feet of storage space even with a carload of passengers. With the seats down, this goes up much higher to 63.3 cubic-feet of space. There are a ton of nice safety features and options for this vehicle. A rear-view camera is standard for all models. One unique feature is GMC's Teen Driver System. This lets you set speed and volume limits for drivers. 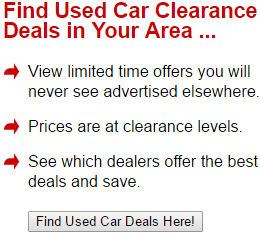 That makes the GMC a great choice for anyone with kids who are currently or about to be driving age. Lane-change alert, automatic-parking assist and rear-parking sensors are all available as well. Not only does the 2019 GMC Terrain offer an array of safety features, but it does great in safety tests as well. The Insurance Institute for Highway Safety gives it top scores in every category for their crash tests. The National Highway Traffic Safety Administration awards the GMC Terrain with a rating of five our of five stars for their front-crash tests. It receives a four-star overall rating when side crash and rollover tests are added in. The GMC Terrain gets a modern, impressive infotainment system for 2019. Apple CarPlay and Android Auto are both compatible and can be integrated with the system. A high-definition touch screen lets you easily access functions and see your safety camera views. The sound quality of the speaker system is top notch too. Many functions are voice activated for hands-free operation, and the system is Bluetooth compatible. There is a lot of competition in the compact, crossover-SUV market. There are a lot of impressive aspects to the 2019 GMC Terrain. Many features of the vehicle make it better than the rest of the pack. 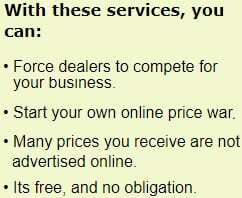 Starting price, however, isn't one of them. The cost starts out a bit higher than most models in this class. 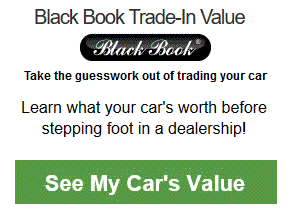 It gets even more costly as you select options and higher trim packages too. There aren't a lot of negatives for the GMC Terrain, but driver visibility is certainly one of them. It is not a deal breaker, and the various cameras do help with overall visibility. It could have been better though. There are competing vehicles in the class that do a better job in this area. There's a lot to love about the diesel engine for the 2019 GMC Terrain. It provides great fuel economy. It's a good choice for drivers who want to save money at the gas pump. The downside to the 1.6-liter turbo-diesel is that it adds heavily to the overall cost of this vehicle. The markup is substantial which might make it out of the price range if you're shopping with a specific budget. The removal of this feature is kind of baffling. In previous models, the second-row seats could slide. This made it easier to access the cargo area and provided more space for hauling things around. The 2019 GMC Terrain inexplicably removes that feature. Depending on how you use the vehicle, this may not be a big deal. For some, the option will surely be missed. One top competitor to the GMC Terrain is GMC's own Acadia. While the Acadia is larger, it's still a crossover and may be a better option for some buyers. It offers a third row of seats and space for seven passengers. It also provides more cargo space. Both are good performers on the road. If you don't need the extra seats and cargo space, the Terrain is cheaper and has a smaller footprint that makes it easier to maneuver. Another similar vehicle is the Chevrolet Equinox. It also has a turbo-diesel option that gets almost the same fuel-economy rating as the GMC Terrain. In fact, it score 1 mpg better. The Terrain has more useful cargo space and provides a much nicer ride quality. Last of all, the Ford Edge can provide more horsepower with its optional, V-6 engine. The passenger number and cargo size it pretty even between these two crossovers. The GMC wins out when it comes to safety rating and safety features. If safety is more important than performance, then the GMC is your clear choice. 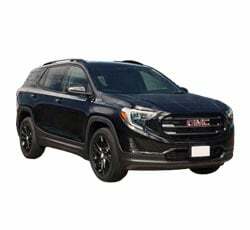 The 2019 GMC Terrain is a fantastic choice for anyone looking to buy a compact, crossover SUV. It has some of the best crash-test ratings and safety features of any vehicle in its class. The ride quality and style of the vehicle are excellent. It may be pricier than some available options, but the quality and features of the Terrain make the vehicle worth the cost.